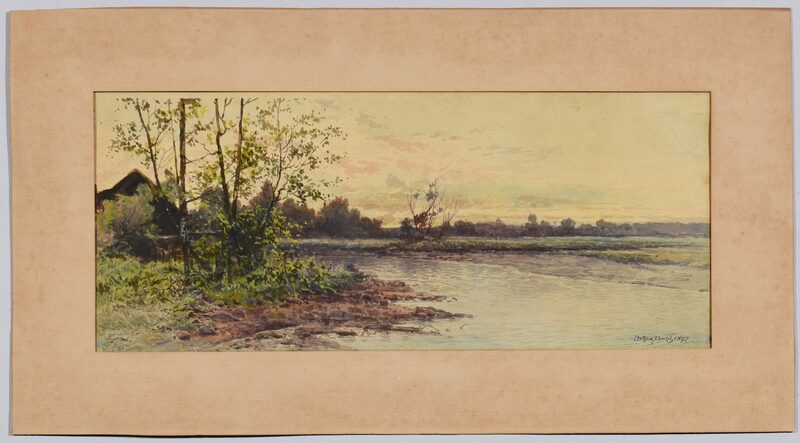 Arthur Diehl (Massachusetts/New York/England, 1870-1929) watercolor on paper depicting a waterway landscape. 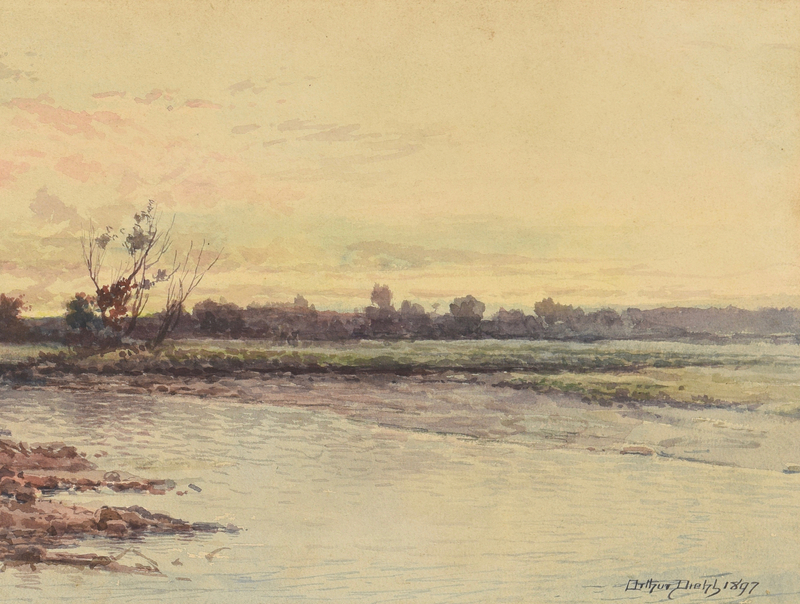 A wide river features prominently in the scene with a structure in the background behind foliage on the river bank, far left. 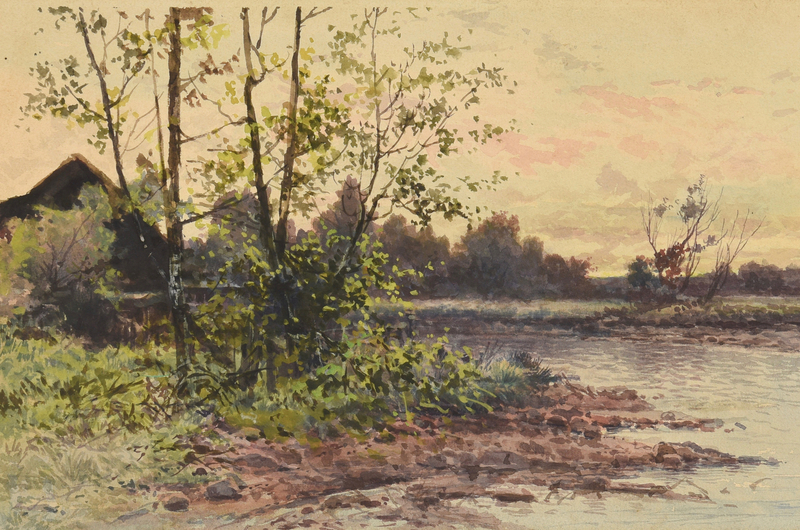 Signed and dated "Arthur Diehl 1897" lower left of image. 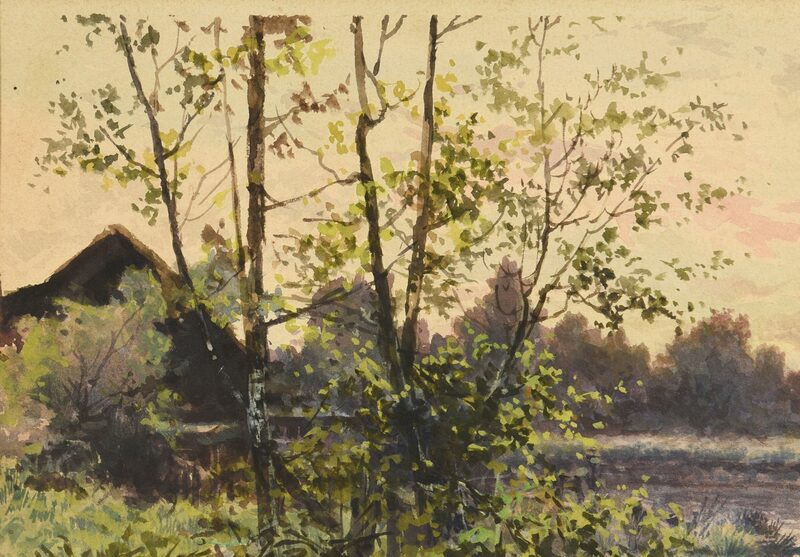 Housed in a wooden frame. 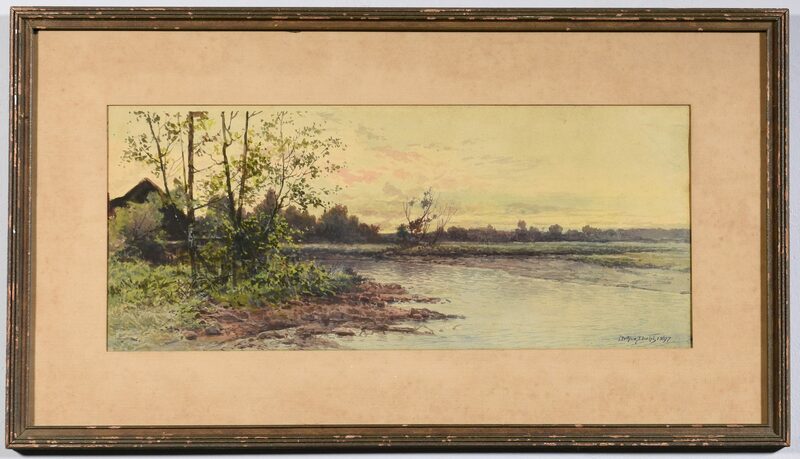 Sight – 8 3/4" H x 18 5/8" W. Framed – 14 1/4" H x 25 1/4" W. Early 20th century. CONDITION: Overall good condition. 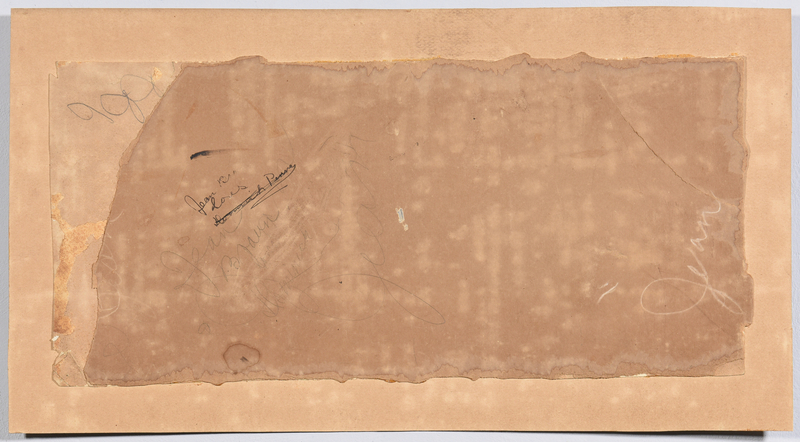 Numerous foxing spots on surface of matte.